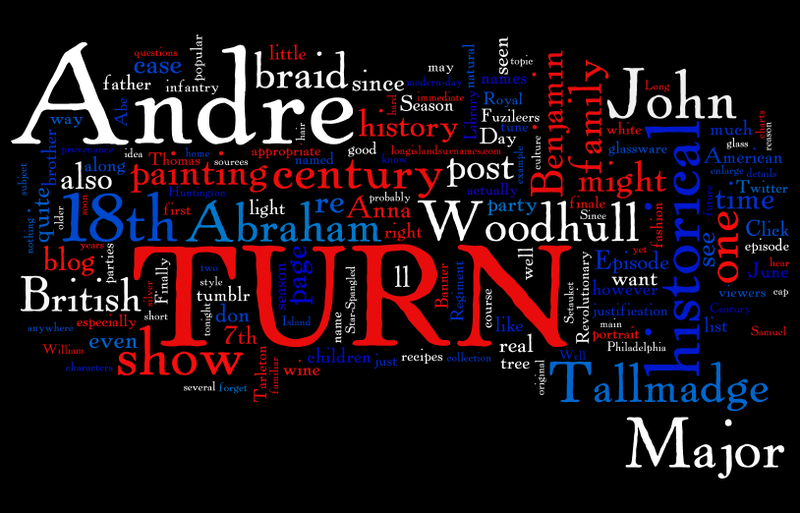 A word cloud generated from all the “TURN to a Historian” blog posts related to Season 1. Greetings, TURNcoats new and old! A new season of TURN will soon be upon us, which means it’s time to dust off the blog and get it fired up again. Now wait just a minute. You didn’t think we were gone for good, did you? With a second season of TURN on the way amidst a sudden proliferation of (often highly-questionable) television programming about the American Revolution?! Those of us in the Northeast only have to look out the window at our snow-covered lawns to remind ourselves that it’s been many long months since the sunny days of June — and the season finale of TURN’s inaugural season. If you find yourself snowed in and/or yearning for the melodrama of the last season of TURN, there are many ways you can catch up — although they all require some form of monetary investment. We’ll post a link here if and when free streaming episodes become available on a legitimate website. Same promo photo; new packaging. Season 1 reruns from now through April. Check your local listings or browse AMC’s online schedule for showtimes. Streaming episodes online: If you can’t be bothered to set your DVR, you can also view the entire first season on AMC.com for “free” – well, “free” if you’re a cable subscriber, that is. AMC.com requires viewers to verify their cable subscription before viewing any full episodes. Downloadable episodes: Currently, the entire first season is available for purchase on Amazon Instant Video for $24.99 in HD or $15.99 in standard definition. You can also purchase Season 1 in HD for $25.99 from iTunes. DVD and Blu-ray: If you can bear to wait until March, you can own a hard copy of TURN Season 1 in a brand new, shiny box of your own! 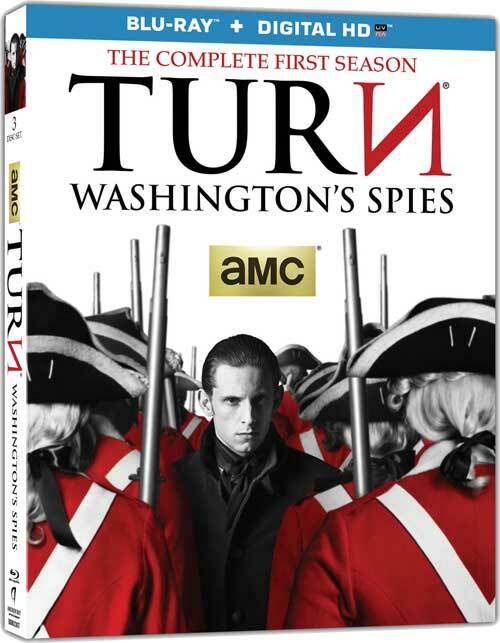 According to a press release published last month, TURN Season 1 will hit stores on DVD and Blu-ray on March 17th. Netflix subscribers: Don’t worry, you haven’t been left out! You’ll be able to binge-watch TURN to your heart’s content starting on Wednesday, March 25th. Filming for season two of TURN wrapped up the first week of February. According to AMC’s website promos, there are lots of new faces, including a pair of rather infamous troublemakers whose names should sound familiar even to viewers who haven’t picked up a history book since grade school. Benedict Arnold and Peggy Shippen, anyone? 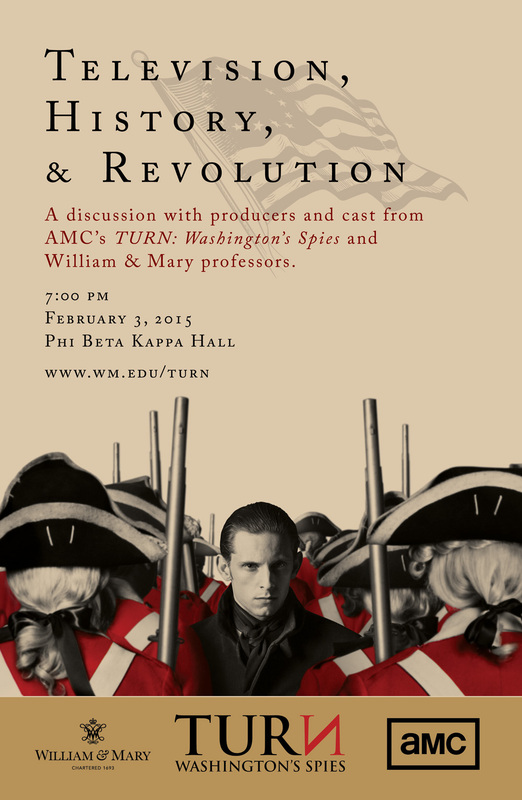 Hollywood producers and history professors… in the same room? Talking to each other? If only this kind of thing happened more often! I have a hunch that this mini-symposium had something to do with Colonial Williamsburg requiring visiting film productions “to support the foundation’s educational mission” (a little detail mentioned in the aforementioned CW blog post). At any rate, it’s a very welcome opportunity to engage in a high-profile discussion of a widely-distributed historical drama. Representing TURN on the stage were both of the show’s executive producers (Craig Silverstein, who has repeatedly claimed that TURN is “a true story,” and Barry Josephson) and Alexander Rose. Representing the hallowed halls of academia are a slew of professors of history, film, and American Studies from the College of William & Mary, including the current editor of the William & Mary Quarterly and the Director of the Omohundro Institute for Early American History. These are big names in the academic world, folks. If you were a graduate student you’d probably be a little weak in the knees after reading the full list. Yes, gentle readers, I also thought this meeting of the minds was too good to be true — but thankfully, the event was not only real, it was recorded! The edited video should be available for online viewing sometime in the near future. Clearly there were more than just graduate students in attendance: the RSVP list for the event topped out at over 600 people. We’ll share the link in a special post when it becomes available. In the meantime, enjoy binge-watching Season 1 all over again. It’s good to be back! 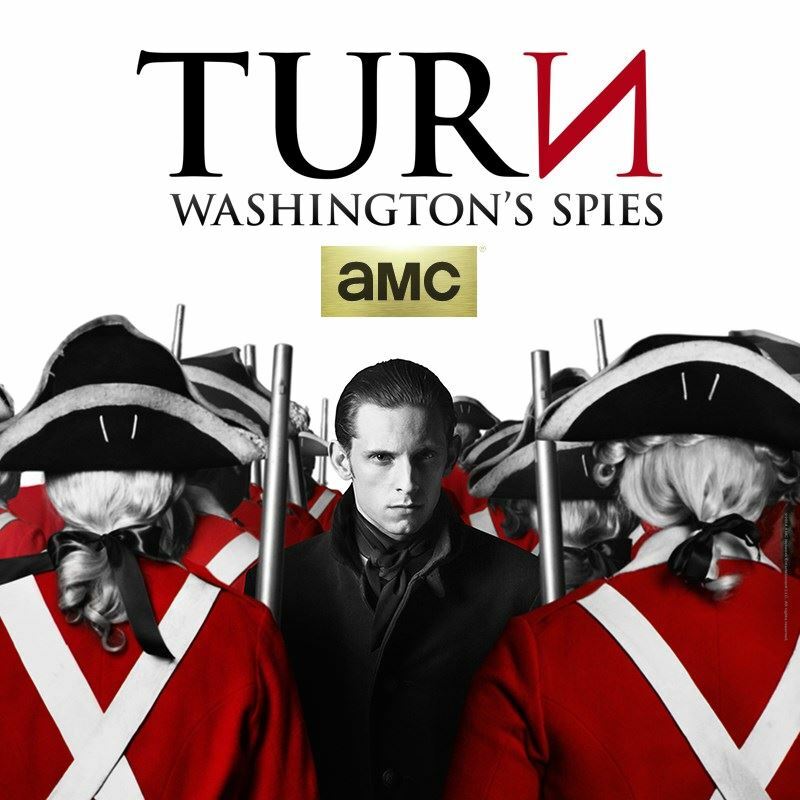 This entry was posted in TURN news and tagged amc turn, benedict arnold, College of William & Mary, Colonial Williamsburg, peggy shippen, turn amc, TURN Season 1, TURN season 2, TURN: Washington's Spies.